What could be more unique than a personalised wedding horseshoe in colours to match the wedding theme or to personal taste. 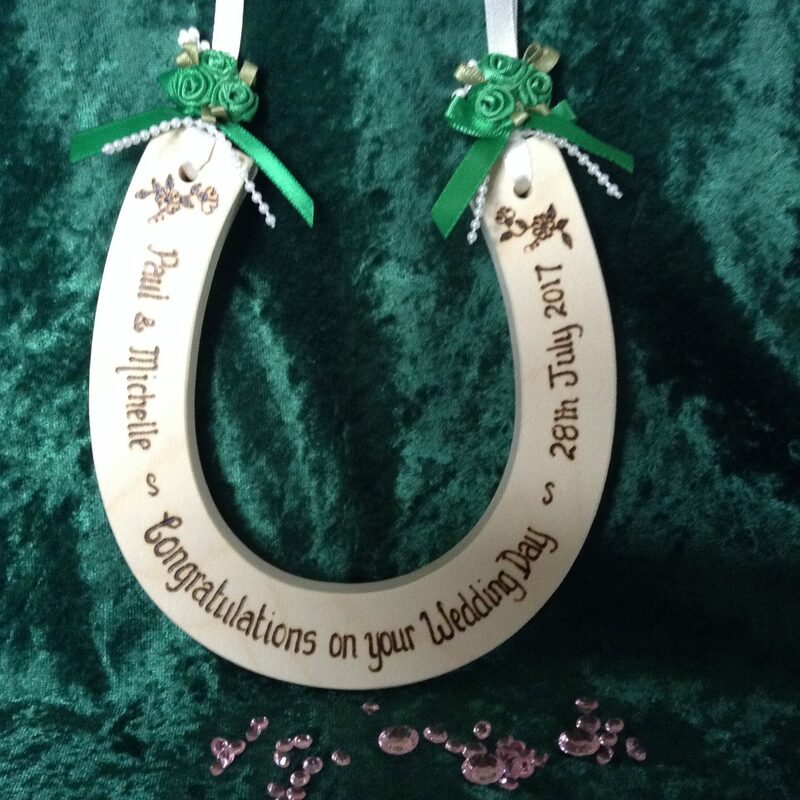 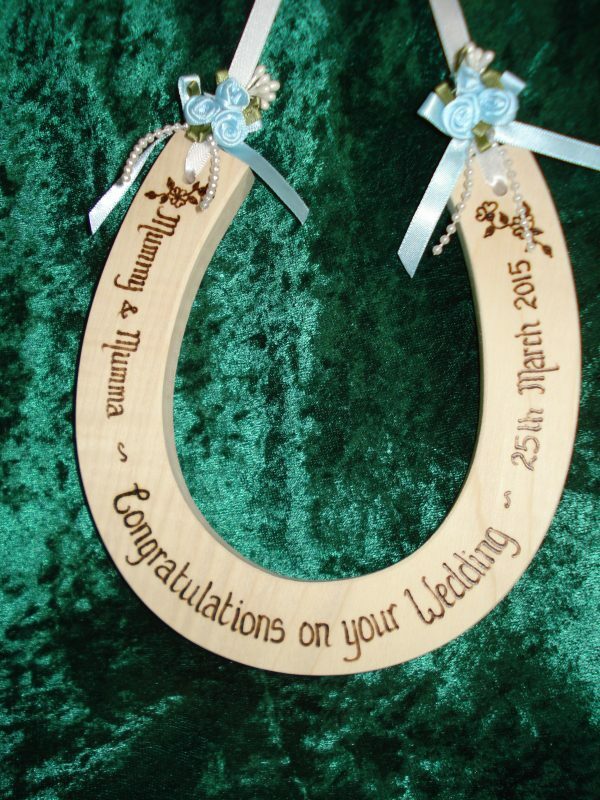 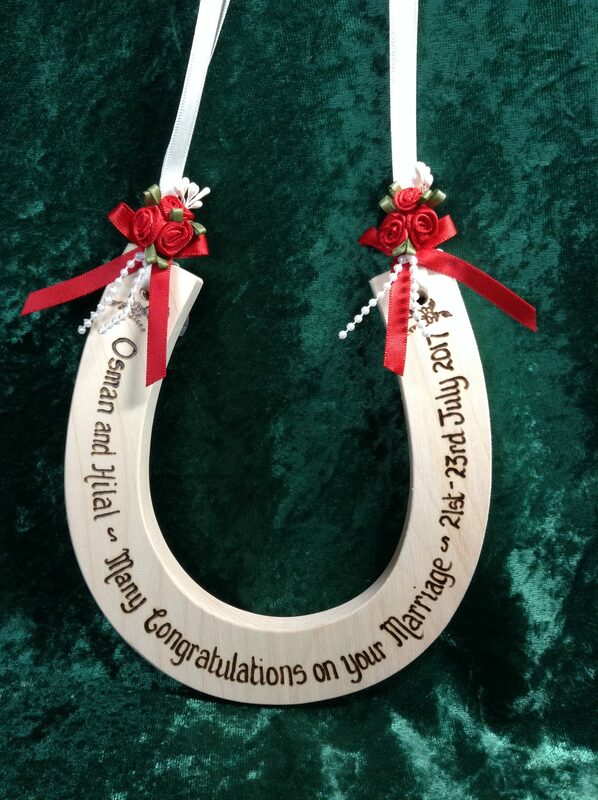 This design is the deluxe personalised wedding horseshoe and is made from solid sycamore. 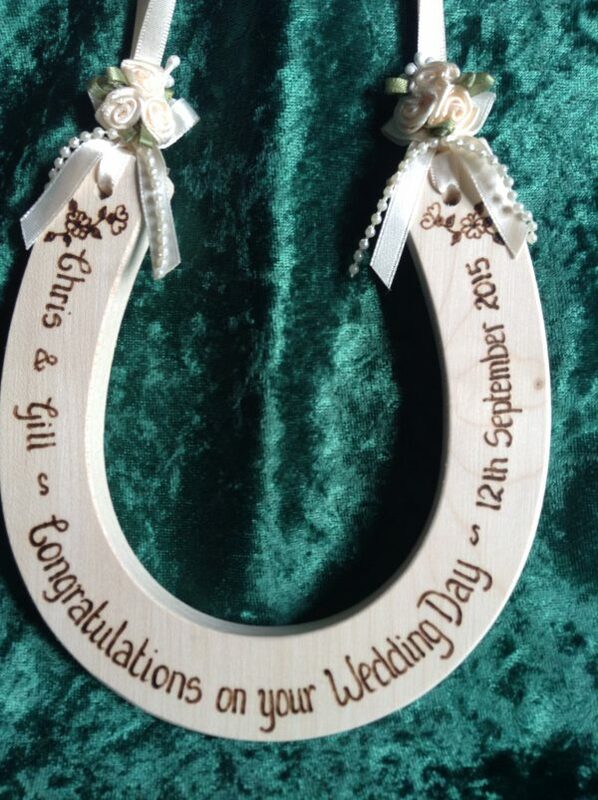 I do not use plywood or MDF! 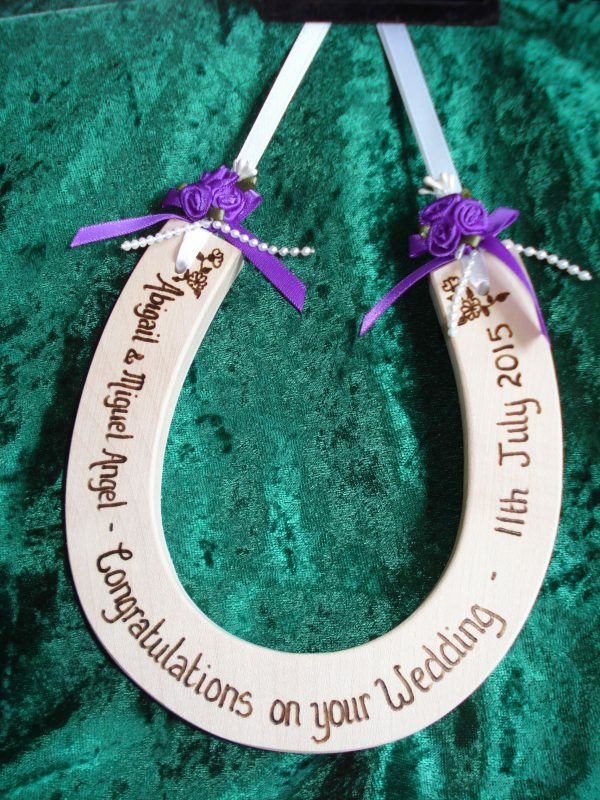 Each horseshoe measures approximately 5.5 x 5.5 inches and is about half an inch thick. 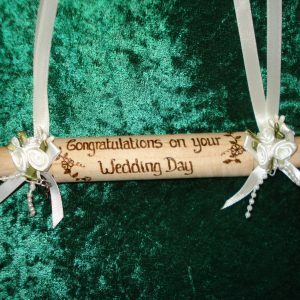 Deluxe embellishments decorate each side and consists of three ribbon roses, tiny beads and stamens on a ribbon bow. 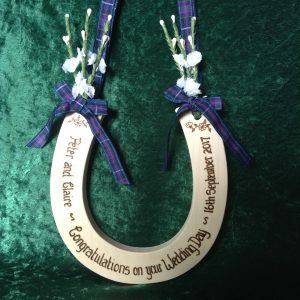 These are available in a good selection of colours. 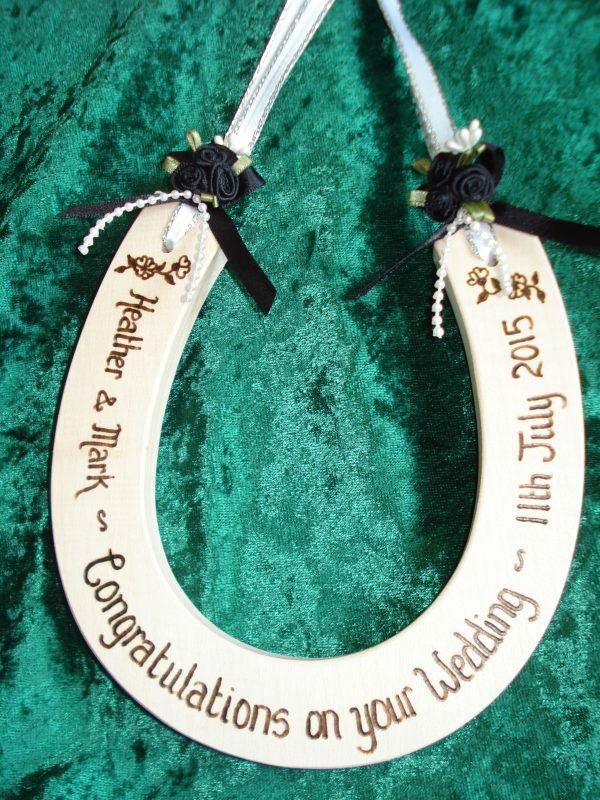 The ribbon loop that the bride uses to carry her gift is available in white, ivory or cream. 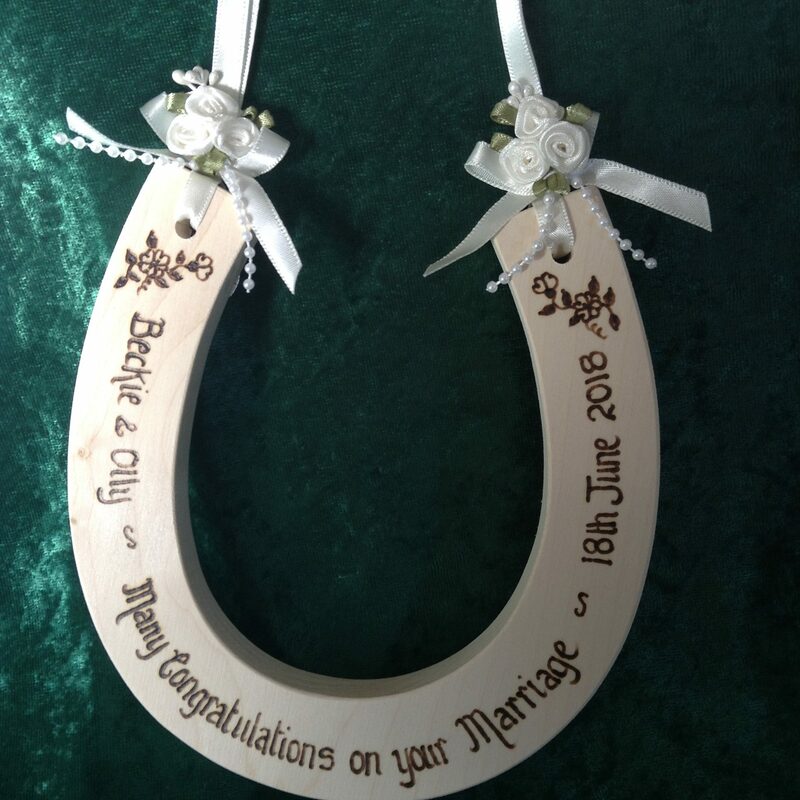 Wedding horseshoes are traditionally presented to the bride as she emerges from the church and are said to bring Good Luck.